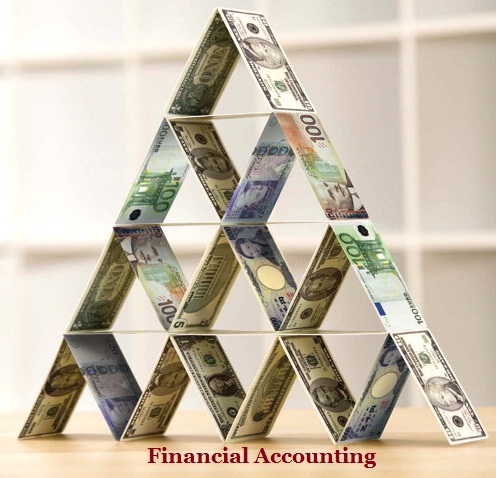 This program has been executed over the topic Financial Accounting so as to generate an understanding of the different aspects of financial accounting which are used by the businesses for the better presentation of the financial statements of the business. For the purpose of understanding of these aspects of financial accounting used or adopted by the companies and their compliance with the relevant Australian Financial reporting standards, two companies of Australia which are listed in AXS have been selected and these companies are Suncor Energy Inc.a Canadian integrated energy company belongs to oil and gas industry and Westpacan Australian bank and provider of financial services belongs to banking and financial services industry has been selected. Suncor Energy Inc. was founded in 1919 which is offering petroleum, natural gas, petrochemicals and other products to its customers. It is famous for specialisation in the production of the synthetic crude from the oil sands. Westpac Banking Corporation was founded in 1982 which is offering finance and insurance services, corporate banking, consumer banking, management of global wealth, investment banking, mortgages, credit cards, investment management and private equity services to its customers worldwide. Westpac is included in the “big four” banks of Australia. This program will discuss the analysis, comparison and discussion of the manner or method disclosure of leasing adopted by the two companies of Australia and their compliance with the relevant Australian Financial reporting standards, analysis, comparison and discussion of the manner or method disclosure of the liabilities which includes the provisions and contingent liabilities expect the liability for lease used by the two companies of Australia and their compliance with the relevant Australian Financial reporting standards and analysis, comparison and discussion of the manner or method of disclosure of intangible assets adopted by the two companies of Australia and their compliance with the relevant Australian Financial reporting standards. Lease can be understood as an agreement undertaken by two person in which one person provides asset to another for a specific time period in exchange of certain payment. The party which is providing the asset to another is lessor and the party which is taking the asset or borrowing the asset is termed as lessee. As per the Australian Accounting Standard AASB 117 Leases there are two types of leases and the classification is based on the substance of the transaction rather than on the basis of the form of the contract (Roussac & Bright, 2012). These two types of lease include finance lease and operating lease.The main aspect as per the Australian Accounting Standard AASB 117 is the extent to which the risk and rewards on the ownership of the asset will be levied over the lessor or over the lessee. The lease is termed as finance lease when the risks and rewards incidental to the ownership are transferred in the lease agreement. The lease is termed as operating lease when the risks and rewards to the ownership are not transferred in the lease agreement. The lease is termed as finance lease when the ownership of the asset is transferred to the lessee till the end of the term of lease;the lease is for the major part of the life cycle of the asset even the title of asset is not transferred to the lessee, an option of purchasing the asset is available to the lessee at the price which is less than the fair value of the asset at the date on which the option is available for exercising or the asset given on lease is of nature which can be used by the lessee without any change or modification (Wong & Joshi, 2015). The lease of the asset is classified as an Operating lease when the payment of the leases is considered an expense on the basis of the straight line till another basis is not considered. In case the lease is for the land or building then the lease of the asset is defined as finance or operating on the basis of the paragraphs 7 to 13. In operating lease the recognition of the lease payment is done on the basis of the straight line till the other method or basis of recognition of the lease payment is not selected. According to the Australian Accounting Standard AASB 117 the lease will be recognised as the financial lease when the assets and liabilities are shows at the amount which is equal to the fair value of the property leased in the financial statements. Westpac Banking Corporation has sold out its property and shifted into a rental property due to which there was an increase in the rental expenses of the business. The property was taken on lease by the Westpac Banking Corporation on the basis of fixed rent which need was payable on the straight line basis to the lessor. This lease agreement was in the form of operating lease as the lease rent will be recognised on the basis of the straight line method.In the financial report or statement of Westpac Banking Corporationhas taken the property on lease and it has been recorded in the balance sheet of the company (Martínez, et. al., 2014). 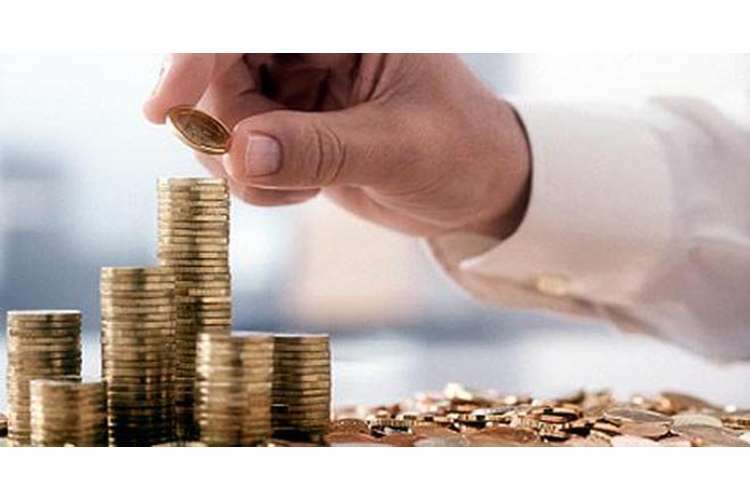 In case of the operating lease the assets taken on lease are recognised in the form of property and equipment at cost in the balance sheet of Westpac Banking Corporation and lease payment is made on the basis of straight line method by increase in the rent evenly for the period of lease. It has also recognised the operating lease rent for the lease in the income statement of the financial statements. As Westpac Banking Corporation is in the position of the lessee it is bound to make use of the property taken on lease as per the agreement entered with the lessor. The rent for the lease is determined with the help of the conditions of the market as on the date lessee entered into the lease agreement with the lessor. The term of the lease entered by Westpac Banking Corporation was for 15 years (Carlin & Finch, 2010). On the other hand, Suncor Energy Inc. has entered into a lease with the third party so as to permit it for the in-house management and increases the control of Suncor Energy Inc. over the reliability of the assets.It has assumed all the leases it has entered as finance lease for the lessees so as to gain an exemption for the purpose of short term leases. For the purpose of providing finance for the difference between the fair value of the cogeneration facilities and the fair value of the wind farms it has entered in to a lease of 15 years (Carlin & Finch, 2010). The assets which Suncor Energy Inc. has taken on lease includesteam generators for the purpose of heat recoveryand two gas turbine generators. At the end of the lease period the ownership of the lease asset will be transferred automatically to Suncor Energy Inc. at the nominal price. The lease agreement entered with the third party named as TransAlta for the purpose of non-cash exchange of assets. According to the IFRS 16 issues by IASB the need arises to recognise the leases as finance lease in the balance sheet. Suncor Energy Inc. is currently evaluating the impact of the IFRS 16 issued by IASB (Martínez, et. al., 2014). Both the companies are complying with the relevant Australian Financial Reporting Standard as the lease agreements entered by these companies are as per the standards given for the purpose of conducting the activities of the business and preparation of the financial standards of the companies in a same pattern so as to form a uniform base for the financial statements of the various companies of the different industries. Liability can be explained as the financial debt of the company which arises due to various reasons during conducting the activities of the business. According to the IAS 37 current liabilities are recognised when the liabilities are raised due to the past events of the business and these liabilities may arise in future or may not arise and this depends on the happening or non-happening of certain events. The happening or non-happening is not in the control of the business and are unpredictable or uncertain (Moser, et. al., 2011). The result of these liabilities may leads to outflow of the cash from the business due to the happening or non-happening of a certain event. An organisation creates provision so as to meet the expenses or the liability arises. These provisions are used for the purpose of meeting the liabilities faced by the business due to a future event. AASB 137 discusses the contingent liabilities an obligation which can occur in future and need to be paid by the business in future on the occurrence of the event. The contingent liabilities may occur in such a manner that was not expected by the business. AASB 137 states that a continuous assessment need to done so as to analyse these contingent liabilities whether the event will result in outflow of the resources of the business or not. The liability of a business need to be considered and recognised in the financial statements of the business or the company but there are certain conditions which need to be considered during the recognition process of the liabilities and these conditions include the measurement of the amount of the liability of the business can be done in a reliable manner and there may be chances or need to forego the future economic benefits by the business (Loyeung, et. al., 2015). The outflow of the resources of the business due to the occurrence of the uncertain event in future can be in the form of cast payment, provisions for the services, replacement of the obligation, transfer of the assets and converting the obligation in the form of equity. These liabilities are not recognised but these liabilities are disclosed when the outflow of the resources of the business are remote. FRS 12 states that the provisions are recognised when the payment of the liability is probable; the amount of the liability can be estimated in a reliable manner and the liability is the result of the past events (Cheung & Lau, 2016). Westpac Banking Corporation has recognised life insurance as a liability in the balance sheet of the financial statements of Westpac Banking Corporation as the liability to pay the life insurance is probable to be paid by the Westpac Banking Corporation in future. As the life insurance liabilities includes the liabilities of the life insurance contract. Westpac Banking Corporation is analysing the value of the liability is determined by the evaluation of the present value of the net cash inflows of the company. The measurement of the liability at initial level is done on the basis of the fair value. The contingent liabilities are discussed in the note 31. It is recognising the liabilities as and when the obligations for the liability arise. Westpac Banking Corporation is recording or recognising the liabilities on the date of settlement and recognises the financial liabilities at the fair value in the income statement of the financial statements of the company (Mayorga & Sidhu, 2012). On the contrary, Suncor Energy Inc. is recognising the liabilities of the company in its balance sheet at the present value specific benefit obligations and fair value of the plan asset is deducted from it. Suncor Energy Inc. has surrendered its awards in cash which has resulted into reduction in the outstanding liability of the company. The liabilities for the future period are recognised on decommissioning and restoration of Exploration and evaluation of the assets and property of the company. Suncor Energy Inc. is recognising its long term financial liabilities at the amortisation cost and it uses the effective interest method for the purpose of recognising the long term financial liabilities. The company is recognising its deferred tax liabilities when these liabilities are taxable in temporary nature. A provision is recorded by the company for the amount which is expected to be settled by the company in the future. The treatment of the contingent liabilities of the company is determined by the note 23. And these contingent liabilities are reviewed separately and are shown or disclosed in the consolidated financial statements of the company. When there are unrecognised contingent liabilities company is assuming that these may not have any impact over the financial statements of the company (Cheung & Lau, 2016). Intangible assets can be explained as the non-monetary assets which do not have physical state. For the purpose of classification of an asset as an intangible asset it needs to be identifiable, having a control or grip over the resource by the individual or entity and the future benefits of the asset are in existence. IAS 38 specifies the assets which can be recognised as intangible assets and these assets include brands, goodwill, publishing titles, and customer lists, intangible assets which are arising due to the research and mastheads. The measurement of the intangible asset needs to be done on the cost basis (Kang & Gray, 2011). The initial measurement of the intangible asset is based on the manner in which the asset is acquired. There are different models available for the purpose of measurement of the intangible assets. These models or methods include cost model and revaluation model.In the cost model the measurement of the intangible assets is done by deducting any accumulated amortisation and the impairment loss.In the revaluation model the measurement of the intangible asset is done at revalued amount. According to the IAS 38 the intangible assets are de-recognised when there is no expectation of the future benefits from the use of an asset or on the disposal of the intangible asset. The useful life of the intangible asset is determined on the basis of the finite or indefinite nature of the asset. The useful life of the intangible asset which is arising from the contractual rights can be up to the term of the contract. In case the contract is renewed then the useful life of the intangible asset will be up to the renewed life or term of the contract (Carvalho, et. al., 2016). The identification process of the intangible assets include the nature of the asset should be separable and it need to be capable of being separately identified from the entity or the individual. The asset must be raised from the contractual and other legal rights irrespective of the transferabilityor separable nature of the asset from the rights and obligations or from the entity. The expected future economic benefits from the intangible assets can be in the form of revenue from the sale of the goods or services, saving of the cost or other benefits which are the result of the use of the asset by the business or the company or the entity (Bunget, et. al., 2014). The recognition criteria of the intangible asset is based or described in the paragraphs 25 to 32 and the intangible assets acquired by the business combination is recognised on the basis of the description provided in the paragraphs 33 to 43 and the initial measurement of the intangible assets which have been acquired by the business from the government grants are recognised on the basis of the description provided in the paragraph 44. The intangible asset is measured when the cost of the asset can be measured in the reliable form and the intangible asset will result in the inflow of the resources in the entity. Westpac Banking Corporation is considering the intangible assets of the business in its balance sheet. It has considered the amortisation of its intangible assets as cash earning adjustments as this result in no impact over the inflow or outflow of the resources and does not create any impact over the distribution of cash which is available to the shareholders.It has considered that the goodwill of the company is having indefinite life and is determined on the basis of the value-in-use. It is having other intangible assets as well and these other intangible assets include credit card customer relationships, dealer networks, computer software, brands, core deposit intangibles, financial planning distribution relationships, value in force business and service contracts.It is recognising the brands on the acquisition of the business and which represents the value which is being attributed to the brand names (Lhaopadchan, 2010). It is measuring its intangible assets at cost less any amount for accumulated amortisation and any impairment losses. On the contrary, Suncor Energy Inc. accounts for the business combinations with the use of the acquisition method. The excess value or cost of the buying cost over the fair value of the net assets of the business is considered as the goodwill of the company. The other intangible assets of Suncor Energy Inc. include lists of customers and the brand value. It has considered the useful life of the goodwill and the brand value as indefinite and is not considered for the purpose of amortisation. The amortisation of the lists of the customers is done on the basis of the expected useful life (Bunget, et. al., 2014). This program has helped in the generation of the understanding of the different concepts of financial Accounting which are used by the businesses so as to present their financial statements in an effective and proper manner. Every business uses different financial accounting concepts for representing the financial statements of the business to the different stakeholders who have substantial interest in the operations of the business. Discussion has been made over the analysis, comparison and discussion of the concepts of financial statements used by two different industries in Australia and their compliance with the relevant Australian Financial Reporting Standard. Bunget, O.C., Blidisel, R.G., Feleaga, L. & Popa, I.E. 2014, "Empirical study of intangible assets in Romanian municipalities", E+M Ekonomie a Management, vol. 17, no. 3, pp. 136. Carlin, T.M. & Finch, N. 2010, "Resisting compliance with IFRS goodwill accounting and reporting disclosures", Journal of Accounting & Organizational Change, vol. 6, no. 2, pp. 260-280. Carvalho, C., Rodrigues, A.M. & Ferreira, C. 2016, "The Recognition of Goodwill and Other Intangible Assets in Business Combinations – The Portuguese Case", Australian Accounting Review, vol. 26, no. 1, pp. 4-20.